First mark all the posts with a category called “blog” or something. In the post editor page, there is a box on the right called “Page Attributes“. From this box, you can select multiple page templates. 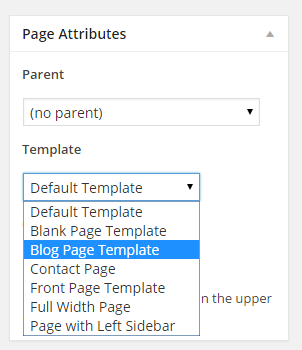 Select “Blog Page Template” and save the page. Go to Dashboard ->Appearance->Customize-> Post & Page -> Blog Page Settings and select the categories from “Display Blog Posts from selected Category” option and Save changes. Now view the created page, and you will see the page is displaying all the posts from your specified category.